Get up to 7 free auto shipping quotes from the largest, most trusted Montana auto transport companies and save up to 50% on your car shipping rates at CarMoves.com. Car shipping companies in Montana compete for your business, which is how you can save hundreds, if not thousands of dollars on car transport services by shopping with us. Whether you're shipping a car to Montana, across the country, or even overseas, we can help you get the best price on your shipment - guaranteed! Read more about the following auto transport companies in Montana before getting a quote. Click on the name of the company to read a full review. 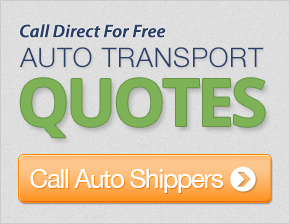 Get a free auto transport quote today to find out how much it costs to ship a car to or from Montana! 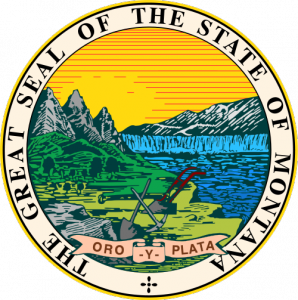 The state of Montana is a bit of an oddity compared to many other states. Though Montana is absolutely huge - its size is roughly comparable to or larger than Japan, it is one of the least populous states in the country. On the other hand, Montana contains some of the nation's most visited national parks, and, overall, is an incredibly popular tourist destination for travelers from the states and around the globe. In terms of scenery, it's hard to surpass Yellowstone National Park and Glacier National Park, both which offer tremendous views of the mountainous terrain in the state. Glacier National Park, which is located near the northern border of Montana, has beautiful views of numerous glaciers and over 100 lakes. However, visitors who still want to see glaciers in the future should go before 2020, as estimates claim the park's glaciers will have all melted if weather trends continue. Montana residents have a long history that is fairly well preserved throughout the state. Many of Montana's early cities were large mining camps that featured classic Western saloons, red light districts and cowboys. Unfortunately, these mining operations also resulted in a huge amount of ecological damage to surrounding areas. Berkeley Pit is one such example of a Superfund site in the state in Butte-Silver Bow, Montana. A former copper mine, the pit lake is the largest in the country, and now one of the largest Superfund sites in the nation. Its waters are toxic enough to carry a pH of 2.5, and the spot has actually become a tourist attraction. Visitors are charged $2 to stand on a viewing platform to marvel at the deadly lake. Despite Montana's small population size, several of Montana's cities are developing quickly into moderate-to-large urban centers. The capital of Billings continues to grow due, in part, to its particularly strong economy. Retail sales are very strong in the city thanks to the lack of sales tax in Montana. Health care, technology, and corporate offices for the region's numerous mining companies all provide numerous jobs to Montana citizens. Cities like Bozeman and Missoula are also up-and-coming higher education centers, housing schools like the University of Montana. The University of Montana is often considered to be the most beautiful college campus in the country, and boasts a very intellectual student population. CarMoves.com works with car shipping companies throughout the state of Montana. We can help you get the best prices on car transport services to the following cities in Montana: Billings, Missoula, Great Falls, Bozeman, Butte-Silver Bow, Helena, and many more. If you don't see your city listed, don't worry - we can get your vehicle shipped anywhere in Montana. Scroll to the quote section on this page to compare free auto shipping quotes from up to 7 Montana auto transport companies and save up to 50% on your move! View the Montana Department of Transportation website for more information.